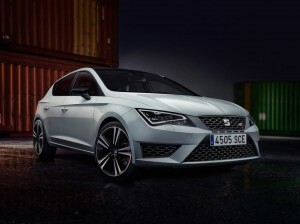 SEAT have unveiled an incredible new flagship to its Leon range which manages to out-punch the VW Golf GTI in an impressive package. The new SEAT Leon Cupra is packing 276bhp under its bonnet and the Cupra 280 is the firm’s most powerful series production car ever. More incredibly still, most of the engines are returning around 42 mpg on the combined cycle. SEAT have developed a range of new 2.0 litre engines which are responsive and efficient to help them take on an increasing number of powerful muscle cars. In addition to the VW Golf GTI, its nearest competitor is the impressive Ford Fiesta ST though the new SEAT Leon Cupra should leave them behind in the dust. That’s not all, the models come with a host of kit and features to make it even more of an attractive buy when compared to the Golf GTI. The three door version of the SEAT Leon Cupra is not only better equipped, it also cheaper than the equivalent Golf GTI and has more power too. To help keep the car and occupants safe, SEAT have added adaptive dampers and a limited slip front differential as standard. The five door model has larger alloy wheels, high-performance brakes and track focused – that is to say ‘stickier’ – tyres. The new models will be officially unveiled in March at the Geneva Motor Show and include three and five door versions with the 0 to 62 mph times being recorded as 5.9 seconds (the Cupra 280 will cover the distance 0.2 seconds faster). However, all versions of the SEAT Leon Cupra will have their top speed of 155 mph electronically limited. Though the SEAT Leon Cupra is not unveiled until March, the order books are now open and prices start at £25,690. Deliveries will begin in the same month. 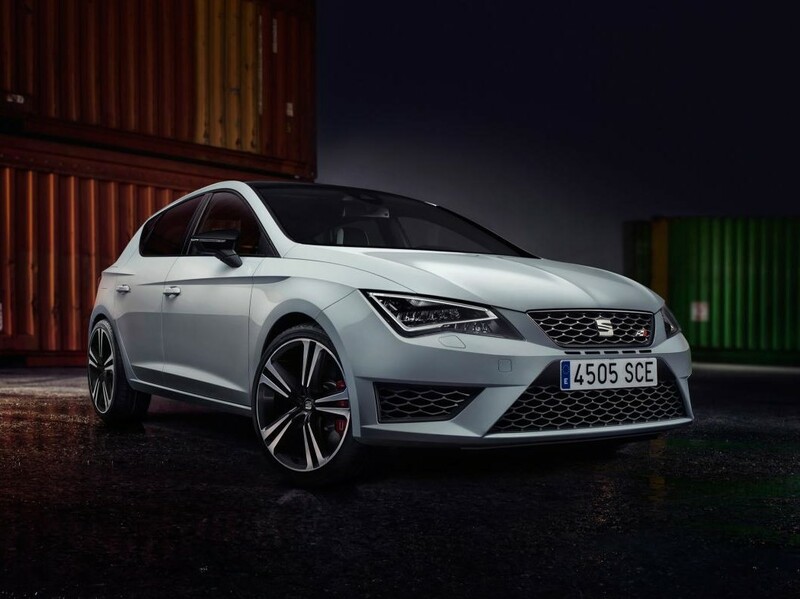 There’s no doubt that the model range will appeal to those who like hot hatches but particularly for those who enjoy track days because the SEAT Leon Cupra has a range of mechanical settings which can be tailored to suit individual tastes and needs. This entry was posted in Car Leasing, Cars, Performance Car, Small Car and tagged ford fiesta st, lease a Seat Leon Cupra, seat, SEAT Cupra 280, seat leon, SEAT Leon Cupra, vw golf gti by Steve Lumley. Bookmark the permalink.